36 page booklet in full color. Reproduced with Au Ver à Soie d’Alger silks with conversions for DMC and Needlepoint Silk stitched on a 36ct linen closest in color to DMC 422. Stitch count is 433 x 449. 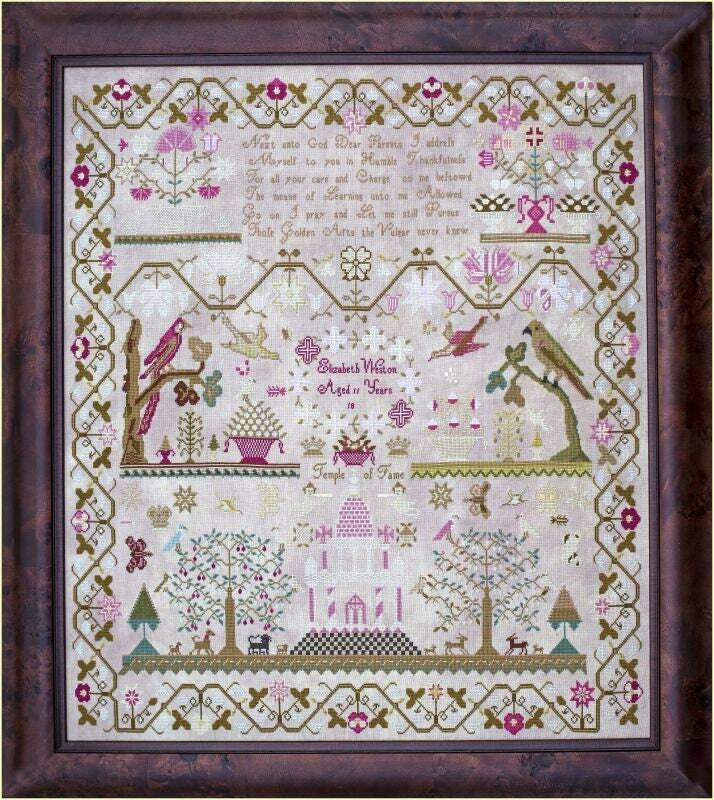 Elizabeth executed her beautiful sampler in cross stitch over 1 and 2 threads, satin stitch and 4 elongated lazy daisy stitches. The sampler is suitable for all levels of ability.